Encision was started in 1991 by Roger Odell and Dave Newton with the guiding principles of making laparoscopy safer for patients and improving clinical effectiveness. The founders of Encision recognized that traditional monopolar laparoscopic instruments have an inherent design flaw; they are prone to insulation failure and capacitive coupling, causing patient burns. To address the issue they created Active Electrode Monitoring (AEM®) technology, which eliminates the chance of stray energy burns to patients by electrically shielding the laparoscopic surgical instrument shaft. Today Encision offers a complete line of premium laparoscopic monopolar surgical instruments with integrated AEM technology. 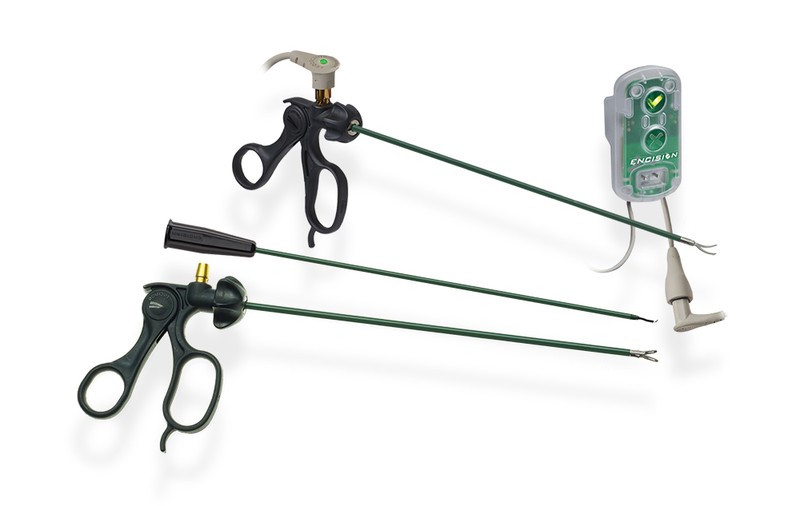 The AEM EndoShield® Burn Protection System is a plug and play smart cord that is the hub of the system and interfaces with AEM instruments, offering best of class surgical performance and the Encision Guarantee to eliminate stray energy burns. Encision also offers a number of complimentary products to improve clinical effectiveness and patient safety. 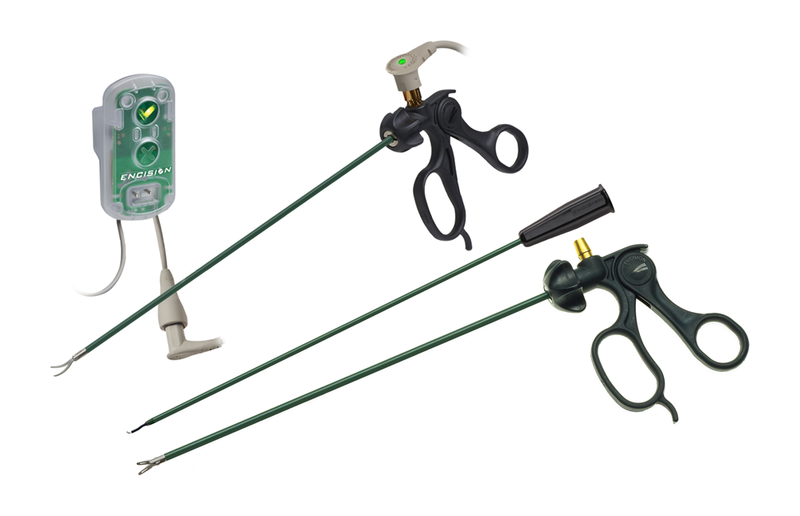 These laparoscopic surgical products range from bipolar instrumentation to non-energized laparoscopic graspers and dissectors.